This is a brilliant shot!!! What a contract. 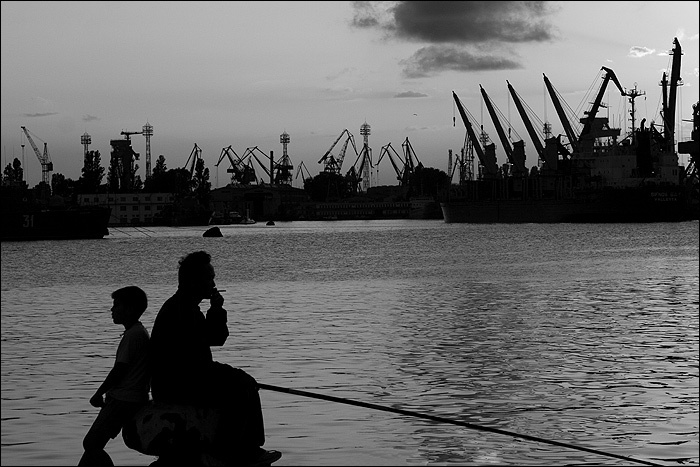 Nicely layered image, Krasimir — the man and boy seem to be at rest, and so do the huge cranes. Wonderfully incongruous image!